Contact Callan at Dog Rescue Newcastle to express your interest. 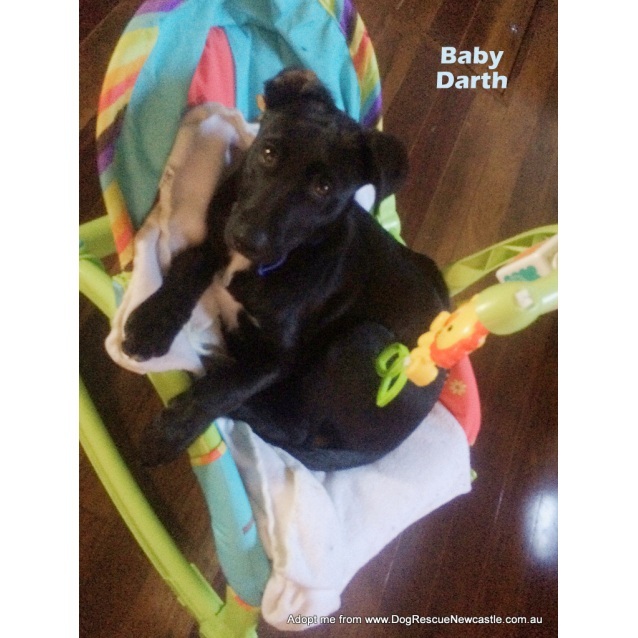 Darth is a 15 week old, Labrador x Kelpie puppy who is very energetic and affectionate. 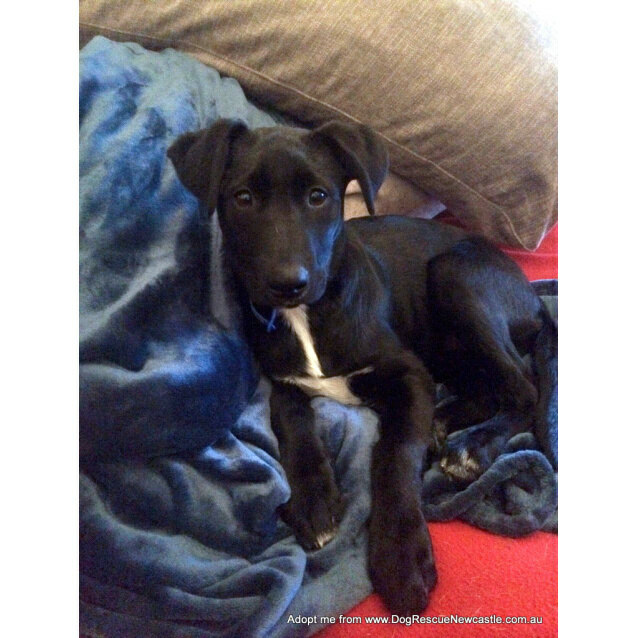 He is a very cuddly puppy and likes to sit on the lounge with his carers and cuddle or get belly rubs. Playing games is his favourite thing to do. He loves to play with balls, teddies, rope, bones and sticks. He can play fetch at home and at the park, even with distractions without any problem. 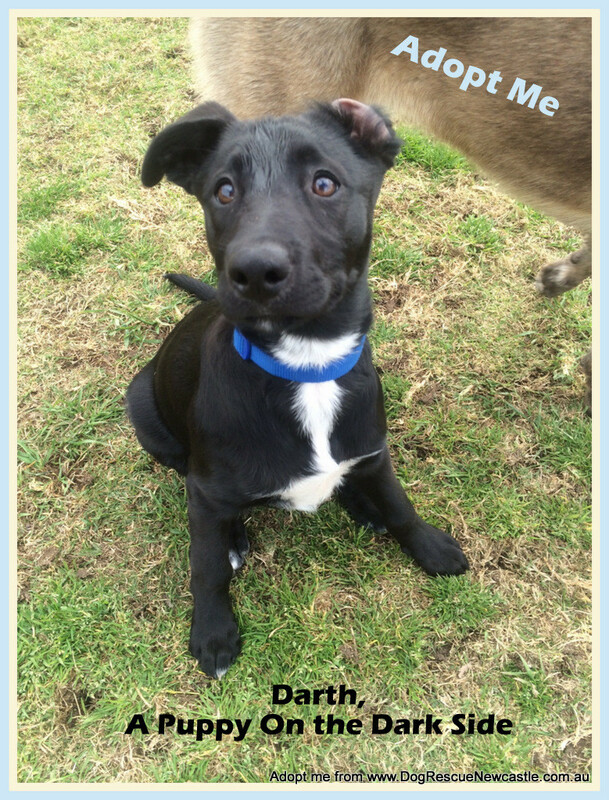 He also loves to play chases and wrestle with his foster carer's 2 husky x border collies and spends most of the day playing with them. 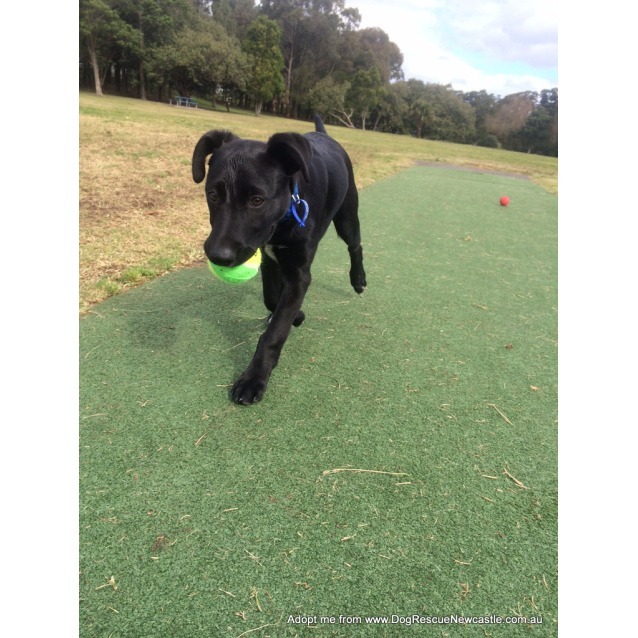 Darth is great off leash at the dog park and mostly stays close to his carer except when he is allowed to play with other dogs and play ball. We are house training him and as long as we take him outside before going to bed and let out first thing in the morning he has no accidents inside. 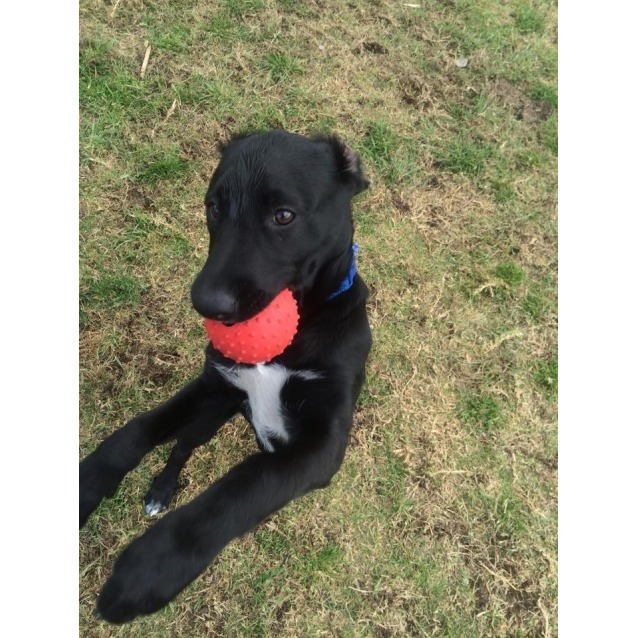 He is learning basic commands quickly such as sit, lay, come, shake, beg and stop, and will benefit from some puppy training to further develop these skills. 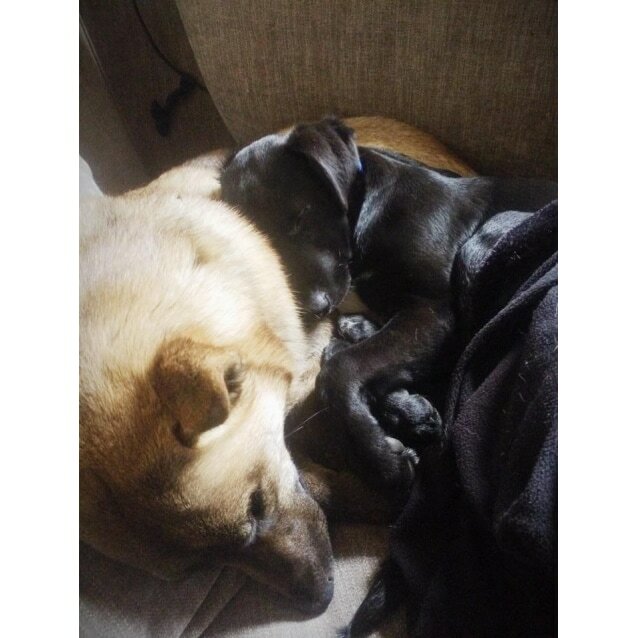 He will grow up to be a medium to large sized dog. 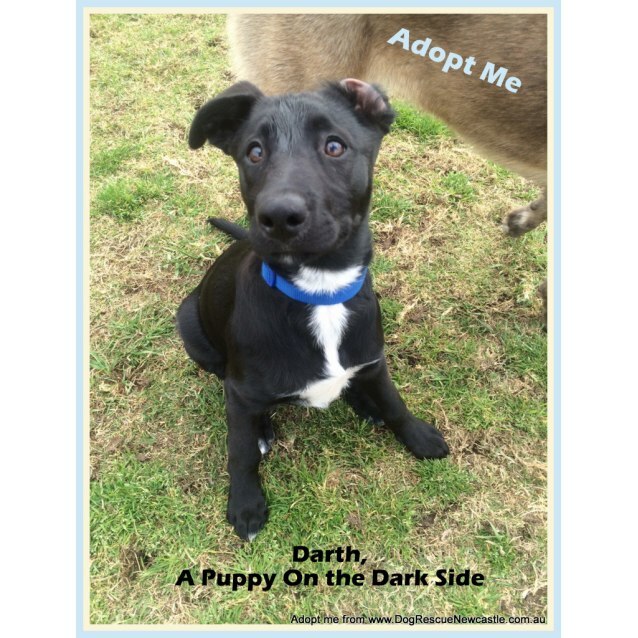 Darth needs to be allowed to spend time inside with his family. He needs to sleep inside at least while he is a puppy. Currently he sleeps on the lounge alone or on his own bed in his carer's bedroom with the other dogs. He is slowly learning how to act around a baby at his current home however is still a little rough because he is still very young. or email Callan.buchan@hotmail.com. Darth is in foster care in Mayfield, NSW (Newcastle). (1) The first step is to phone or email the foster carer listed on the pet's profile (scroll to the bottom on the description). 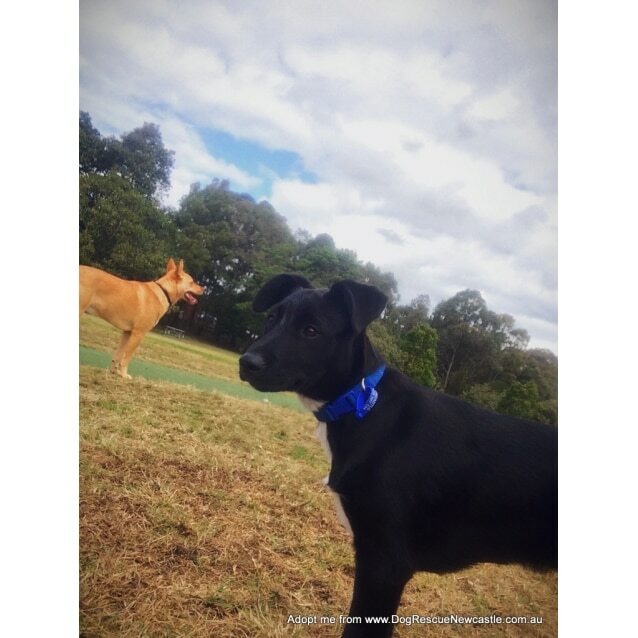 They can answer your questions and will ask you about the sort of home you are offering and may ask you to fill in our Adoption Questionnaire http://www.dogrescuenewcastle.com.au/adopt/adoptionquestionnaire.rtf.